Solo Trip To Peru - Part 2 — NORTH BLOG. Once again a beautiful morning, feeling fresh and ready to explore. I remember the shaman mentioning that there is a sacred cave in the Huarocondo valley called Naupa Huaca which translates to ancient sacred. it is also known as Naupa Iglesia a site which is a rough altitude of 9800 ft on the side of a ravine, has survived some pretty intense earthquakes and the design of the site is also seen in ancient Persia and Egypt which is pretty amazing to think of, some of the measurements in the design actually match the slope angles of the two main pyramids of Giza. I'm super excited about exploring this place, even the journey trying to find it will be an adventure considering it is not sign posted and not many people know about it. I did a little research looking at maps and was given some information by the shaman the previous day. 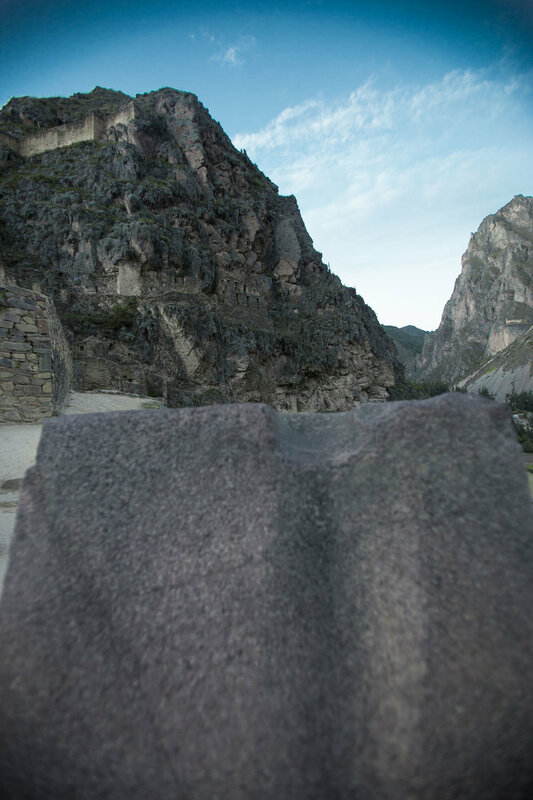 I had a good idea how to get there but in reality it felt like a gamble considering the small amount of info l had about Naupa Huaca, but i knew if I got there it would be worth it. 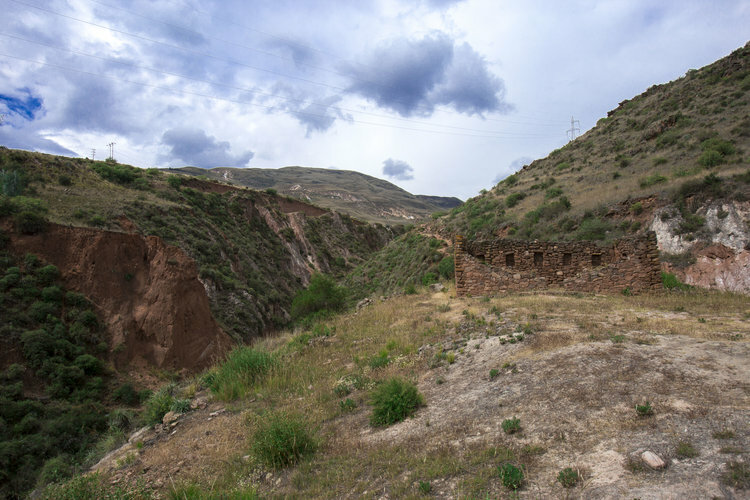 I got a collectivo from Calca to Pachar, then followed the signs for Huarocondo valley following a road passing one bridge on my right then coming to another bridge with train tracks. i followed the train tracks all the way until I saw a sign saying 'no camping', I had the feeling that this may be the area where Naupa Huaca is. There was a small dirt path so i made the decision to follow it not knowing where it would lead, the pathway kept going up which didn't bother me, if it took me to the wrong area I was still going to get great views of the valley. After about 30 minutes walking I saw these gigantic stones up ahead, then as I continued up the hill I started seeing more signs of ruins, and I was buzzing all over as I knew I was on the right track. I finally reached the gigantic stones I had initially saw down below, and as I got got closer chills ran down my spine... I had made it to the sacred caves of Naupa Huaca. It was clear that these caves had gone deeper into the ground, and from the knowledge the shaman passed on, he told me that back in the 80s people tried to blow up certain parts of the area in search for gold. There are still many caves underground to this day that are kept secret that lead into sacred areas of the mountains, as many areas of Peru are known for gold, crystals and valuable earthly elements which others want to come and exploit. Secrets among the locals are common here as the land that they protect thrives with so much, and outsiders would continue to try take advantage however they could. It's good we have these locals who stand their ground to protect what is there and more have to try to support them! The carvings in the stone were like no other. What were they used for? Why did they create them in this location? Why so high up? Why in a cave? I asked myself all these questions plus more. It was as if i was looking at a stone door of some sort, used maybe in an ancient ceremony or offering to the gods. The strange thing about all these ancient sites so far is that i keep getting a connection with the ancient sites in scotland, and also egypt which i mentioned earlier. Is there a connection here that has been lost or at least very few people know about? I could come back here again and again and still be amazed, maybe we will find the answer someday. I was excited about today, my step brother piers had been travelling all over peru for the past 6 months studying archaeology. 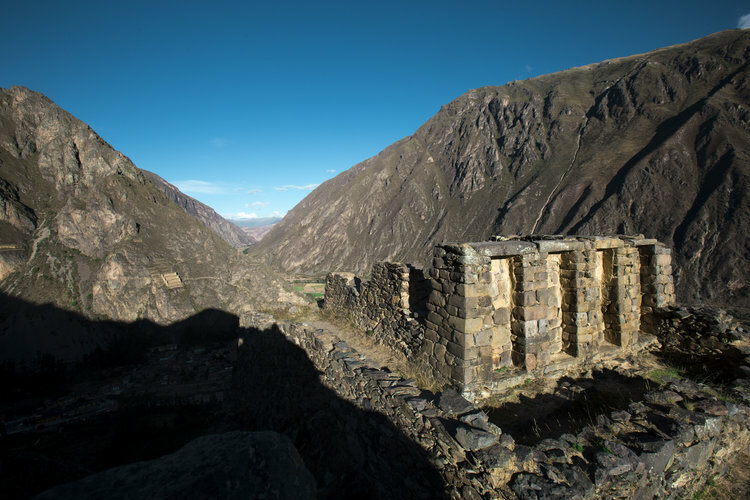 Discovering things you could only imagine would be found in the undiscovered parts of peru. It was exciting that he was in areas that were not yet fully excavated and had not even yet been officially registered by the peruvian government. Everything he was uncovering was undiscovered. We had arranged previously (and hoped) if we were close we could meet for a day and i could come along on one of his adventures. It just so happened that he was in cusco for a short time and was doing some work around the area, which was amazing. I made it to cusco for 7.30am meeting him at the universidad andina del cusco. First we would head to pinipampa looking for petroglyphs, he had been to this area a few times searching and had stumbled upon some petroglyphs dating 500-600yrs old which had not been publicly recorded yet. 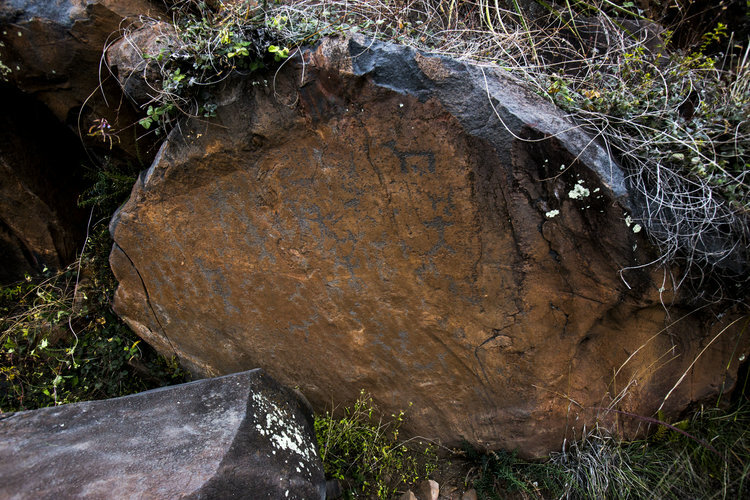 The petroglyphs were in a burial site area high in the hills. Piers told me that last time he came no one had been here and that all the original graves were untouched and now you can see there have been grave robbers who have come by searching for valuable artifacts that had been buried with the dead. It is common for grave robbers to do this in peru as you never know what you may find. The exact part of the mountain that this amazing place has been created is perfectly positioned among bluestone, as if it was built almost to utilise this. Bluestone contains a type of crystal that was used in early radio receivers due to its electrical voltage abilities, it was also used in the oldest part of stonehenge and some old scottish sacred sites. The rock is also naturally magnetic, another useful feature for shamanic journeying which is important in the culture, especially when communicating with the gods. Such an interesting thing to think about when trying to picture what happened in this place. Not only was it a remarkable feeling of getting to Naupa Huaca but the stone work inside the cave was perfect and again there were no words that could even describe what I was witnessing. After exploring Pinipampa, we walked around 4 miles to Sumagtika Incan Aqueduct. Aqueducts were used around 1500yrs plus ago for bringing in fresh water from the surrounding areas which would be used for distributing water across wider areas of the land, drinking water and even baths in some cases. At first I had no idea what I was looking at, I was to busy trying to get all the cactus out of my feet from the walk getting there, which would have been good if Piers had pre-warned me that we were going to go onto a dirt path among all the spiky cactuses. There is no worse feeling that getting cactus stuck in your feet. Trust me, it's razor sharp and hurts. The skill and development that has gone into this ancient culture doesn't seem real. Everywhere you go there is always something to be discovered, a part of culture still there to be celebrated. The western world could learn a great deal from this. We were on the move again, heading to Laguna Huacarpay walking down the original Inca Trail that had been used for thousands of years, it was slightly overgrown with grass and flowers but once again imagining hundreds of generations of Incan people from all over walked this exact route to Laguna Huacarpay was an interesting feeling. The views definitely did not disappoint and the lake was like a beautiful glass mirror. We continued walking down to the left of Huacarpay eventually reaching the ruins of Urpicancha meaning “field of wild doves” in Quechua. Of all the places in Peru to visit this has got to be one of them. It was empty, not one other soul and you have free access of exploring the entire area. Urpicancha was originally believed to of been built by the Wari Pre-Inca culture, not much is known about this culture as they didn't appear to use a form of written record but what they can make out is that they had a complex sociopolitical hierarchy, worshipped the Chavin staff deity which they included elements of in their amazing andean art and textiles, as well as undertaking some interesting rituals that included blood letting and hallucinatory plants. They Willka tree known as 'sacred' in Quechua languages was of great importance to the wari and the shamans would have Chica drinking ceremonies and the art left which is like their version of written record shows this and some of the transitions some of the great Wari leaders would make from shamans to priests. It should never be forgotten that they were expert agriculturists, as they managed to survive the 30 year long drought that added to the decline of the Nazca and Moche communities. But once again they are another mystery to be added to the ancient Peruvian culture. Every single day I am exploring here I always say to myself this is my favourite place, there is so many beautiful areas for exploring it never ends. I have came to the conclusion that I am probably a bit obsessed with all of the ancient ruins and fascinated by the Incas. Maybe its because I am seeing a similar resemblance to my homeland Scotland and the way some ancient ruins are, how they are positioned, a lot of similarities in ways which seems to almost strike a cord with me, even though it may sound strange or unexpected to others. 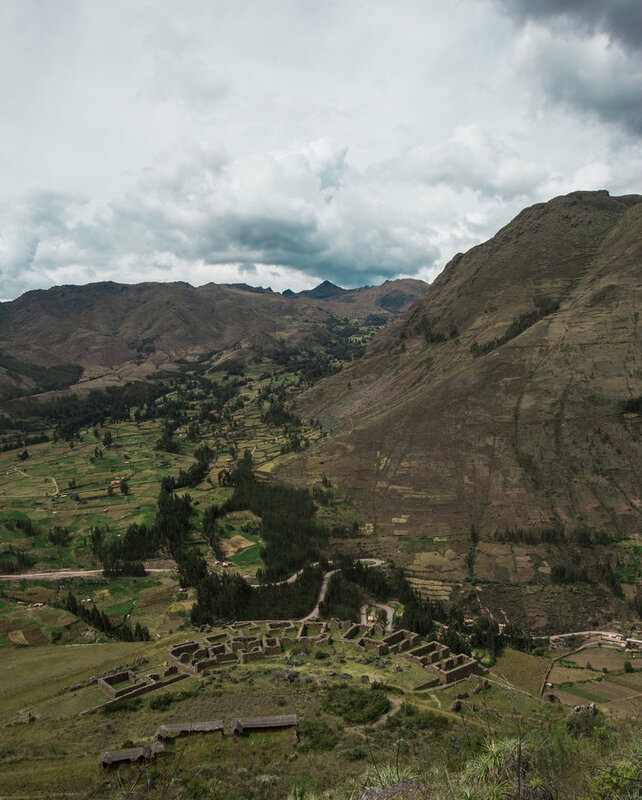 My adventure today starts in Pisac – Temple of the Sun, Pisac is known as a hub for tourists. It has a great market, great restaurants, a nice mixture of accommodation and a good place to start if you want to stay in the sacred valley. For me, today is all about exploring the temple of the sun and I even went and wore my kilt. Locals kept asking if I was from Scotland and where was my skirt, us Scots are infamous everywhere even among Peruvian locals, so I finally caved in and decided it was time to get the kilt on. It's funny as your don't tend to bump into many Scots out here,it seems like a rare sight but the locals were very aware of our traditional kilt which made me smile. Understandable given the importance of textiles in the culture here to tell stories about our roots. Pisac – Temple of the Sun is where the most important and meaningful events were held, and there is an important tower placed inside to ensure it was at the highest altitude point. Only one of two sun temples known in Peru that have been discovered so far, the other being Machu Picchu which we all know. 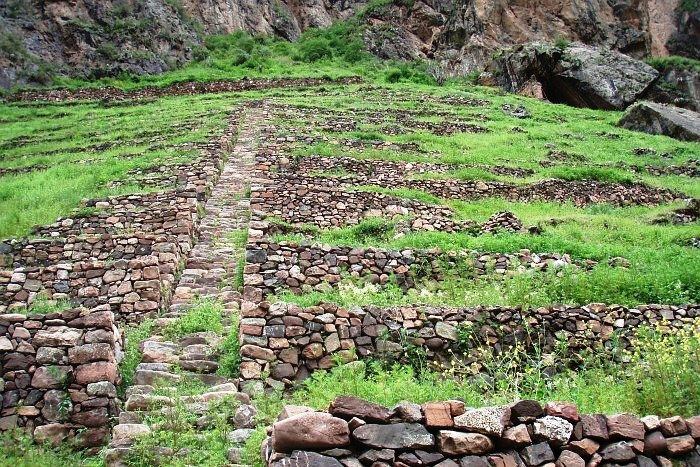 Unlike Machu Picchu, Pisac was invaded by the Spanish around 600yrs ago damaging much of the site but at the same time thankfully leaving a lot of the key areas which would have been used for great importance in astronomical terms. All of the original stone work appears to still be around minus the stones that have been damaged or removed. One of the reasons Machu Picchu was not invaded was because it is much deeper in the jungle and the Spanish were afraid of going into the jungle due to all the dangerous animals, insects and plants that they knew existed. It was also very well hidden and they had no idea the value of what was there hence the reason why a lot of the Incas fled into the jungle because they knew how to handle themselves in the Amazon. My day exploring today was a once in a lifetime experience. I must of walked 20km, finding hidden tunnels in the mountain then finding myself at the other end in a place I would never of expected. Making my way up to the higher parts of the temple was where a lot of the architecture was at its best, the wealthier or people of high importance would stay in these areas and the lower lands were normally for the likes of farmers. My time spent here was from sunrise to sunset, I didn't want to leave as felt so natural there, and as if more to find, but it was time to go after a full day of being a Scot getting lost in an ancient temple. Ollantaytampo or in Quecha – Ullantaytampu, infamous for its fortress and ruins looks like a place that was built by giants, and the stones look as if they could only have been moved by the gods themselves. It felt as if I was an ant that had found my way onto a giant game of chess. I would have been a happy emperor if I was the man who had owned this fine estate, but no, this magnificent estate belonged to emperor Pachakutiq, name meaning “earth shaker” I can understand how he got the name. It was a little frustrating when I arrived at Ollantaytampo due to so many tourists. Very much a hot spot and somewhat an easier ruin to explore making it the perfect place for tourists. I explored the area quickly keeping my eyes peeled for any dirt paths with no tourists, then finding myself in a part of Ollantaytampo that had no tourists. First impression was it was an old building that I knew would not attract many tourists, but no, I was wrong. I found a little dirt path that led all the way up the back of the mountain above Ollantaytampo and this was the perfect getaway spot that I knew would lead me to somewhere cool, there was no way that this path was leading nowhere. 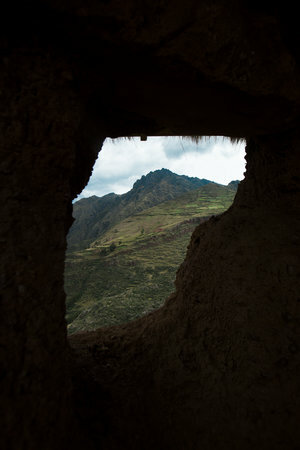 I was right, I got amazing views of Pinkuylluna which are directly opposite Ollantaytampo originally used as Incan store houses for preserving food. But this was not the end of my exploring, me being who I am and wanting to adventure more I climbed a little higher looking at my GPS which was now sitting at around 3000m originally being at the same level as Ollantaytampo 2,792m. This was it, I could see some stones in my sight about 100m away. The pathway I was originally on had vanished which seemed very odd, it was time to go off track. All I could see was cactuses, and I was not looking forward to this part, my luck with the cacti is not good. That moment of realisation when you're thinking okay I am either going for this all in, or going back. Well you can probably guess, I went for it! Picking my spots carefully as I dodged every cactus I could, slowly making my way up. Achievement unlocked. 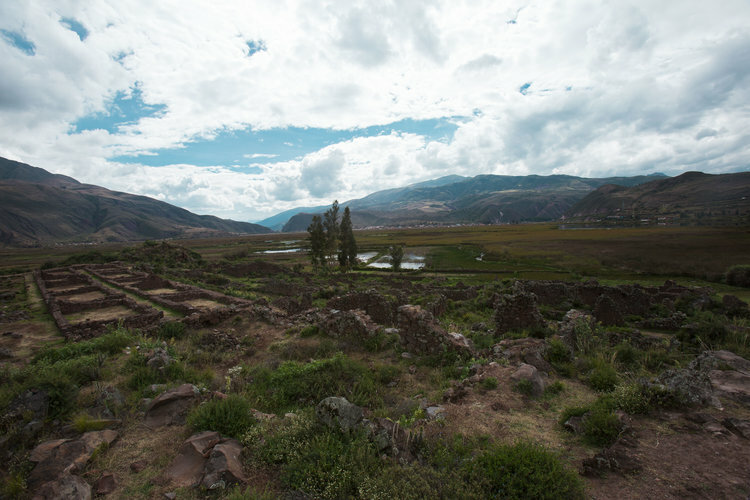 I was right about the ruins, there were two buildings and to top it off clear 360 views of the sacred valley. This is why I adventure, when I get to places that I feel I need to go to and it ends up working out, its something i believe and feel the human body, mind and soul needs in order to flourish. There is always a little fear of not knowing, will I get back? What is up there? Questions and doubts always come into mind but these are what I like to call the shadow self putting doubts in us trying to lead us astray. One building up here was a simple 4x4 stone building nothing overly special on first glance, but the other building is what really baffled me. 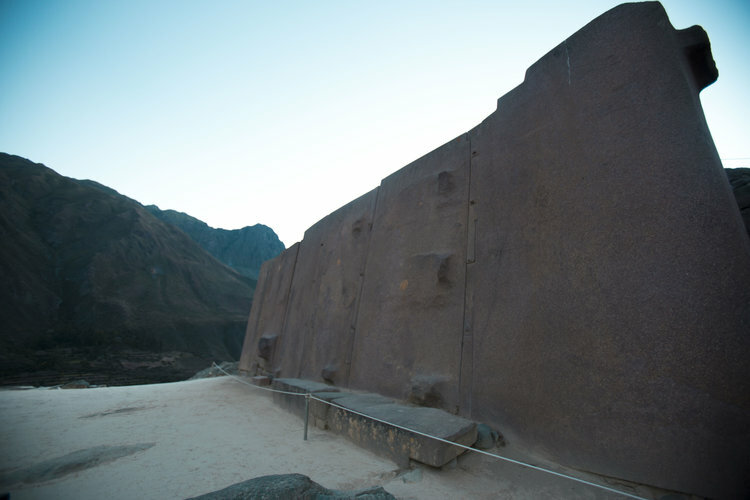 It almost resembled a similar structure to the area at the sun temple at Pisac for when the sun would come in at a certain time of the year aligning up with the stars. It was as if doors would have been here, as when looking closely you could see in the area that maybe a door was hinged, and it looked like this strange set up was almost that of a stargate portal in a way. One can only wonder and guess but yet again another mystery. It was now getting dark, I had no idea how I was getting down and I definitely didn't want to go back the same way I came up. The plan was avoid all cactus, and after roaming around for a while I came across another pathway which ended up leading straight to the back entrance of Ollantaytampo. This worked out perfect, someone was watching out for me after all, and my intuition this whole trip has been bang on. It was around 6pm, I was now back in the main area of Ollantaytampo with not another soul in site, all the tourists had gone, no selfie sticks hitting you in the back of your head or tourists trampling over you. I took a big long deep breath taking my time to explore the ruins one last time before making my way back to Calca. Lesson today - “Trust yourself, it will always workout, even if it doesn't you will always learn something new about yourself or the environment you are in”.